Spring is here and the flowers are all in bloom, including on the wrist. 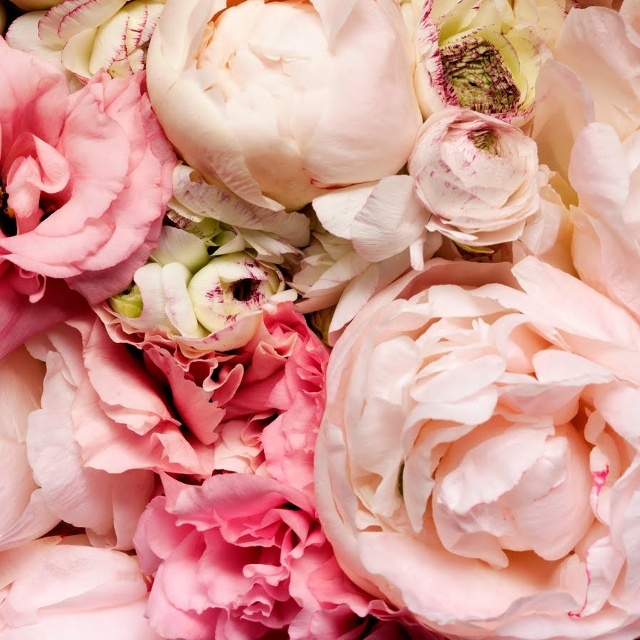 Indeed, at this year’s BaselWorld the floral theme took center stage as watch brands offer women time to smell the roses. Everything from poppies to roses and daisies are abloom, as flowers ignite passion and reinforce our love of nature. New watch designs depict flowers in miniature enamel on the dial. Gemstone-bedecked beauties and innovative sculptural accents reinterpret the gardens around us. Citizen unveils an entire new flagship ladies’ collection called Sunrise. There are four different series within the line, each recalling morning dew with innovative designs, diamond accents and the functional Eco-Drive technology. 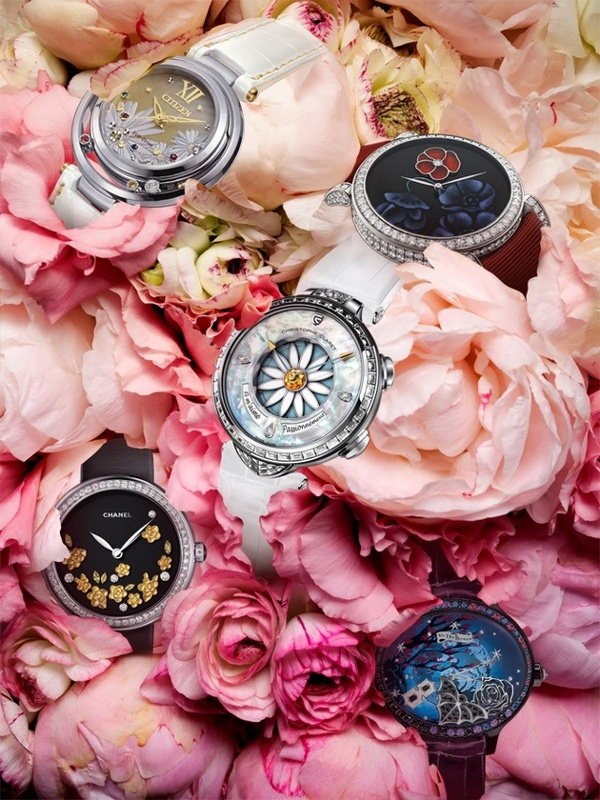 Other intriguing floral interpretations sprouting this spring include the Chanel Mademoiselle Prive watch with sculpted tiny gold flowers on the dial, and the DeLaneau Rondo Poppy – with richly painted poppy on the dark dial. Van Der Bauwede Genève presents a quartz floral watch with mysterious Carnival undertones. Part of the Twilight Collection, the new watch recalls twilight thanks to rich hues. It is crafted in black PVD steel and set with black, purple, blue and pink sapphires, complete with a rose on the dial that is dusted with black diamond powder. Christophe Claret took the flower concept to all new heights with his new Margot watch developed just for women. Inspired by the romantic whimsical act of plucking the petals of daisy one by one to find the answer to the riddle He loves me, he loves me not, Claret opted for his own timely and complicated interpretation. The new Margot features a lovely daisy on the dial and has an ingenious mechanism that helps to predict the answer of the game He loves me, He loves me not. With the press of a pusher at 2:00, the watch comes to life – and each time the wearer presses the pusher, a single petal or a pair of petals randomly falls off the flower – disappearing beneath the dial. Finally, the answer appears in French calligraphy at 4:00. Making the watch ever more intriguing is the fact that with each press, a melodic chime resonates in typical Claret style. The dial of the limited edition watch is beautifully romantic with a natural mother of pearl in pale blue with a white-petaled daisy. Each of these watches offers a breath of fresh air. Enjoy spring.